Kathryn believes life’s opportunities are gone forever and is resigned to living out her last days uneventfully as a resident of Victorian Manor. The fountain in the manor’s garden changes all of that. Kathryn finds herself involved in a plan to rescue a street child named Jasmine who is often left alone by a neglectful mother. Through what appears to be a series of miraculous events that begin at the fountain, Kathryn finds her life spanning three generations as she enters the world of Jasmine and a young bachelor detective named Ben. 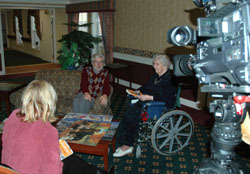 A murder and a newly developing romantic relationship forces Kathryn to make the most difficult choice of her long life. Love and sacrifice take on new meaning as she struggles to understand what she is called to do. In bringing hope for a better life to those of other generations, Kathryn discovers new meaning and purpose for her own life. The Fountain takes the reader on a journey which explores the distance and alienation often separating people of different generations. The story celebrates the gifts the generations can bring to each other. The conclusion is a resounding affirmation that it is never too late to make a difference! If you would like me to speak at your function, please contact me via my E-mail address. * how each of us is a piece of the puzzle that makes up the picture of the grand scheme of things. A. It’s about a woman, Kathryn, and an interesting collection of characters with whom she lives in a majestic old house called Victorian Manor, an extended care facility. Kathryn feels her age has pushed her to the margins of society, that she is no longer of much use in this world. Through a series of miraculous events Kathryn discovers that she, indeed, still does have a purpose for being here. A. No. Kathryn finds herself in a coffee shop, at a park and other places relating to a 7 year old girl named Jasmine who spends a major part of each day on the street unsupervised by an adult. Kathryn feels called to reach out to Jasmine and to rescue her from her tragic situation. Kathryn also encounters a young detective named Ben, who also gets involved in trying to find a better life for Jasmine. Q. It sounds as if Kathryn’s Fountain has a collection of characters of different ages. A. Yes, one of the themes of the story is the tremendous value there is in the different generations relating to each other. I’m grateful to be a pastor of a church where we have pretty much a balance of people from children through a significant number of people in their 80s, and even 90s. Years ago families lived together in a multigenerational setting with grandpa or grandma living with the parents and grandchildren. This tends not to be the case today. We tend to isolate the generations, each generation feeling most comfortable relating to itself. We miss the gifts each generation can give to the other generations. Q. You indicated Kathryn’s Fountain contains a series of miraculous events. What’s your take on miracles? Do they still happen today? A. I’m sure they do. It’s interesting that when Jesus did miracles He never did them with the intention of convincing non-believers. He often did miracles as privately as possible. I think God is still shy today when it comes to His display of the miraculous. I believe He does the miraculous in our lives all the time, but that they often go undetected. You could say He does miracles by stealth. They often fly under the radar of our daily observations. Q. There’s a “puzzle lady” in Kathryn’s Fountain and I understand you’re in the habit of handing out puzzle pieces at book signings and speaking engagements. What’s up with the emphasis on puzzle pieces? A. Well, first of all, the “puzzle lady” character was inspired by one of the shut-ins in my own church. She lives in an extended care facility. Her mind is bright and she passes the day putting together jigsaw puzzles. She’s done hundreds of them. Several are glued and framed in her room and she gives them away. A puzzle is never complete until that last piece is put into place. 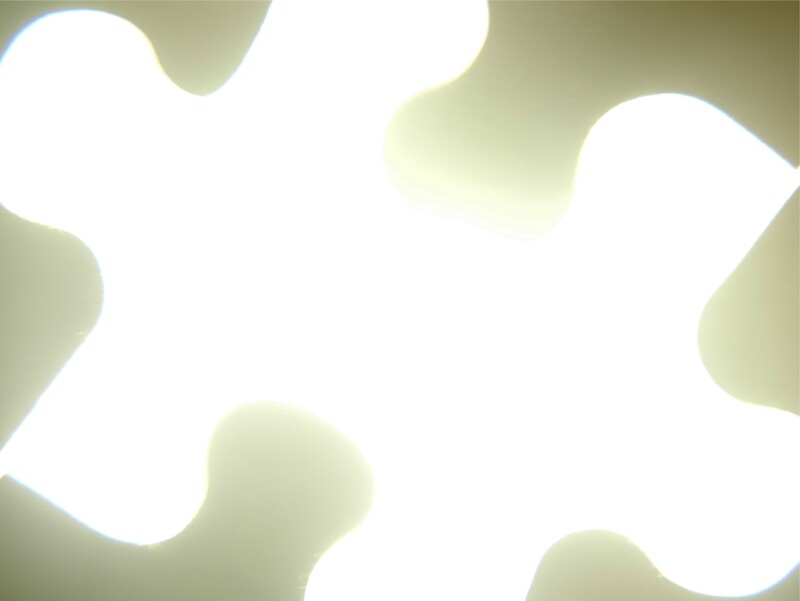 Each of us is a piece of the puzzle that makes up the big picture of God’s grand scheme of things. We each have our part to fill in. Each of us is of strategic importance to God, right where He has us in life. Each of our lives has a purpose to Him. That’s the meaning behind the puzzle pieces I hand out. A. Believe it or not, one morning I woke up with the basic storyline on my mind. There it was! Of course it took months of writing and rewriting to get it down right on paper, but the initial idea pretty much was there when I woke up that morning. Q. What do you see as your purpose for writing Kathryn’s Fountain? A. Well, first of all, I want it to be a fun read, to be entertaining. I want people to really get into the story, to be able to clearly picture the events unfolding in their own minds. As a writer who is also a Christian I want to write with a purpose. I’d like a person to come away from reading Kathryn’s Fountain with a profound sense that they are a piece of the puzzle that makes up God’s big picture of what He’s doing. I’d like the reader to have a deepened appreciation for God’s miraculous working in our ordinary lives. And I believe we are meant to enrich the lives of people of the generations other than our own. Having said this, I was intentional about not wanting to come off “preachy” because my desire is to have people enjoy Kathryn’s Fountain as just a good story. "Writers on the River Book Fair"
about the publication of the novel. Kathryn's Fountain was a wonderful example of how you are never too old to make a difference in someone life. Sometimes you may be the only person that can help someone. God may have hand picked you to help and if you choose not to help then that person will be hurting. Kathryn definitely never thought she would be making an impact. She was living in a retirement home. People go there to die gracefully. Not live abundantly. However, when a little girl shows up hungry and hurting, a spark is lit in both of their lives. Deanna's Corner. With plenty of unforgettable characters and some interesting plot twists, this endearing book of how God can use anyone, at any age, for His divine purpose will be one you won't want to put down. I enjoyed this lovely book from beginning to end. My Buckling Bookshelf. Kathryn's Fountain was a pretty fast read and it's not a long book, but it definitely is one of those books that stays with you. At first it requires a bit of suspension of belief, but by then end of the book I was having a hard time wondering if it wasn't actually true or not! The mark of a good story teller! Kathryn is an old woman and the story is told from her perspective. It made an interesting read for me also to consider life from the end of life time. Our society doesn't focus on family as much anymore and it made me realize how fragmented we can be, only hanging out with people our own age. I really liked this book! I was taken on a great unexpected journey filled with adventure, wonder, love and self-sacrifice. I found myself rooting for Kathryn’s determination to do God’s will in her life, when it seemed impossible for her to do it. This is a story that fairy tales are made of—I can’t wait for others to share in the great adventure I’ve just been on reading Kathryn’s Fountain. Treat yourself to drink from Kathryn’s Fountain – You’ll be glad you did. 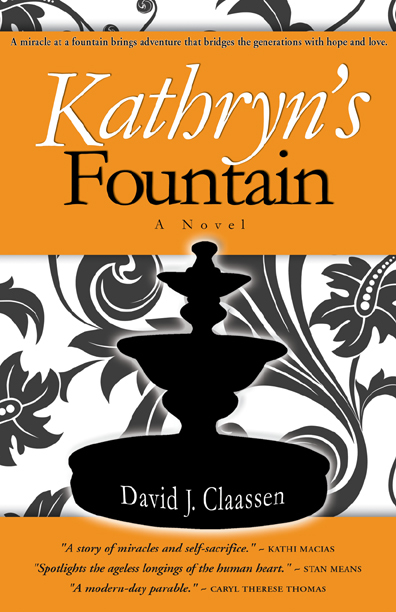 "Kathryn's Fountain by David J. Claassen is a story of miracles and self-sacrifice. The characters span the generations, as well as the pages of this touching story, with grace and compassion, and the author has done a commendable job of touching on the seedier elements of life without losing the beauty or possibilities of a garden setting." "From the moment I started reading Kathryn's Fountain I couldn't put the book down. 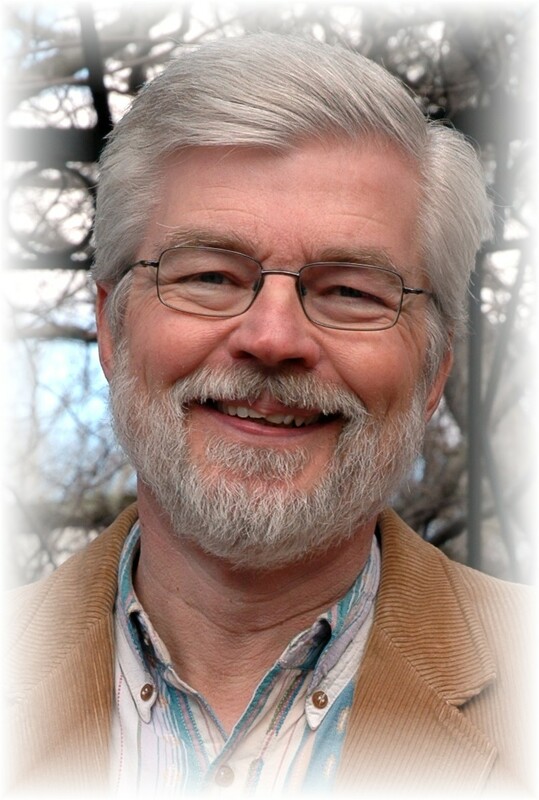 David Claassen has managed to cast an inescapable spotlight on the ageless longings of the human heart, while encouraging the reader to believe in a miracle-working God that cares for the orphaned child and the orphaned senior. "What a wonderful testimony it is that life is to be celebrated at all ages. Reading this book will change the way you view life." "I loved the world I entered in Kathryn’s Fountain, a world where miracles happen and selflessness reigns. I delighted in the fun, laughing out loud while reading, and blinked the tears away as I lived Kathryn’s selfless sacrifices. "A poignant story with surprising twists and turns that will keep you reading and touch your heart. You won't view life in quite the same way after reading Kathryn's Fountain." "An insightful story that gave me a renewed understanding of the importance of really living more consciously in the moment and season that I am now experiencing." 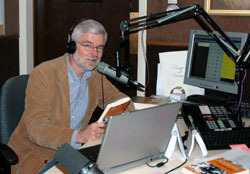 "David J. Claassen's easy writing style and interwoven story lines keeps us interested and involved in Kathryn's life . . . Kathryn gave herself away that others could enjoy what she had been denied. Isn't that what Christ did for us?" "Kathryn's Fountain is a metaphor for how the individual that lives within each of us never grows old. It's the same message we convey to our caregivers -- always look on the inside of the people you care for. Readers will enjoy the story, as it will stay with them long after the novel has ended. I heartedly recommend it"
"Kathryn's Fountain by David J. Claassen is a delightful story of the miraculous adventures of wheel-chair bound Kathryn whose belief and transformation allow miracles in the lives of others!" "A fusion of fantasy and drama, Mr. Claassen's intergenerational tale reminds me us that the institutionalized elderly need us. More importantly, we need them. There area ordinary 'miracles' available to those who seek them." "In this modern-day parable, Kathryn's transformation so she could enter the world of young Jasmine reminds me of Jesus Christ, who took upon Himself the nature of a human being in order to offer redemption to all of us."